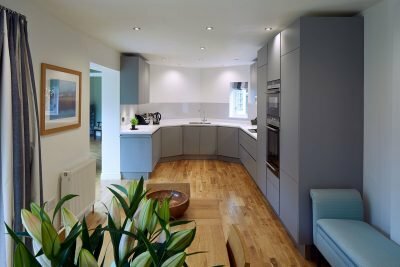 Kath’s kitchen posed an interesting challenge with its unique shape and design. 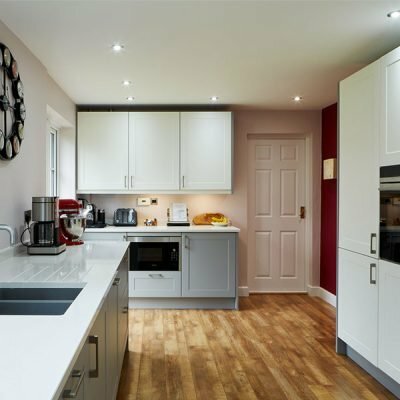 Whilst her requirements were nothing out of the ordinary, the layout of the room made designing and installing the kitchen a little less straightforward. 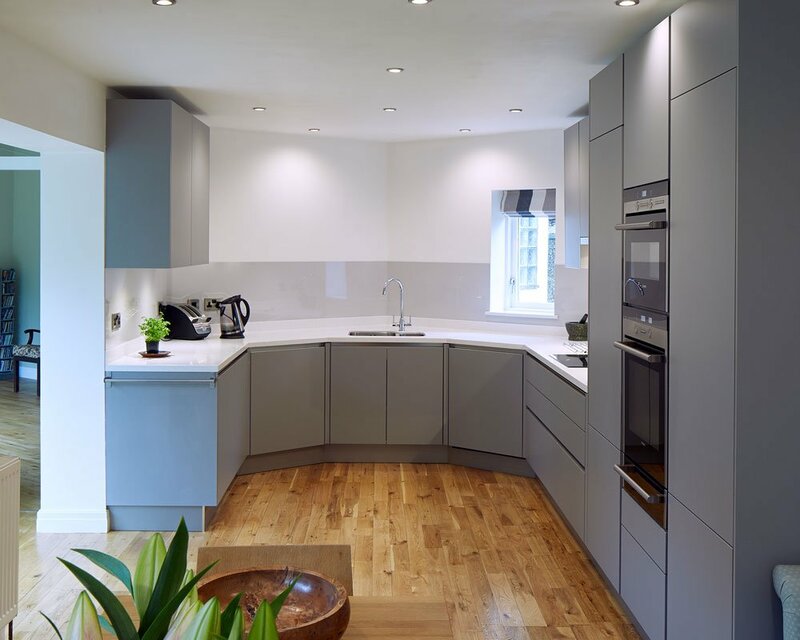 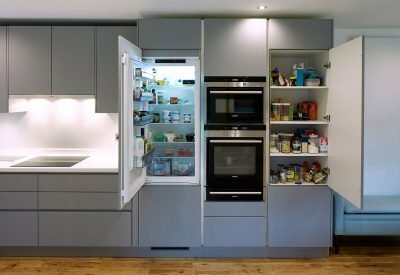 As Kath wanted a bright and un-fussy design, we kept the styling very simple by using our satin Pearl Grey handle-less door. 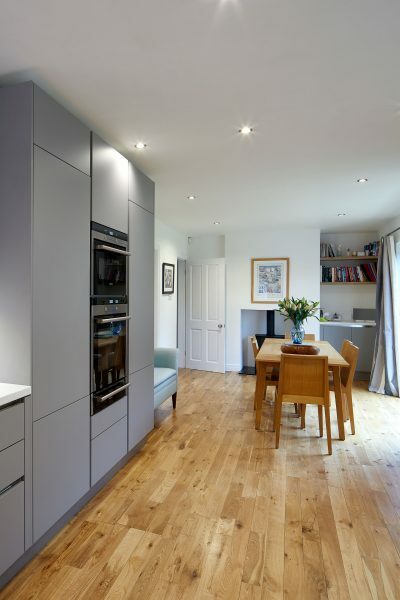 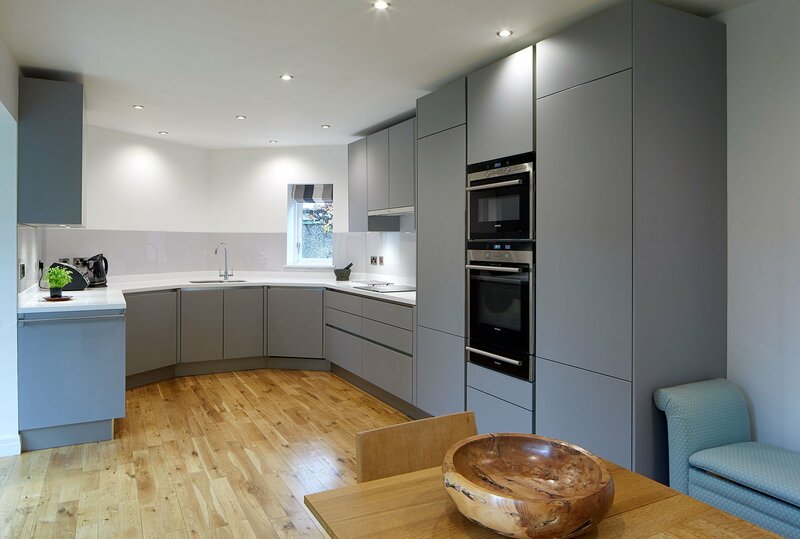 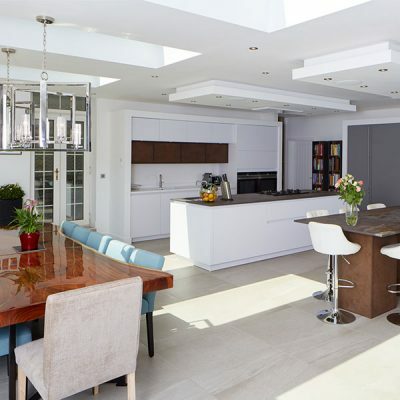 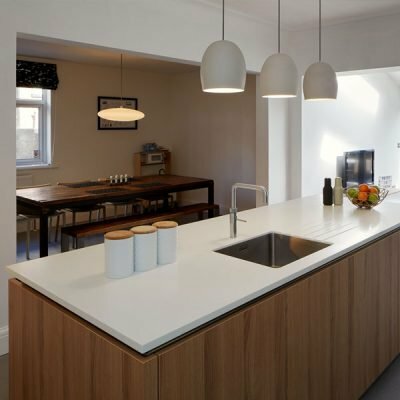 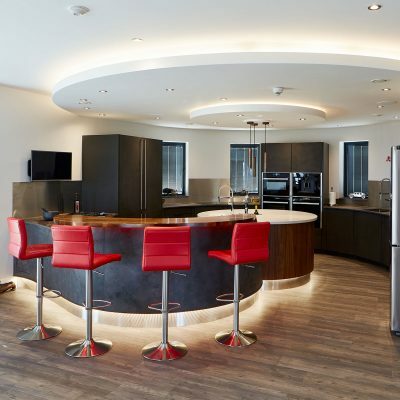 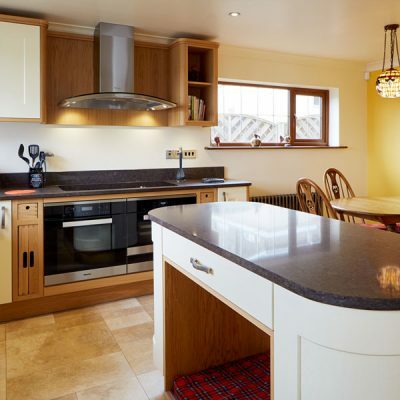 Coupled with a Corian Everest worktop the room flows well and the kitchen doesn’t become dominating in the space.